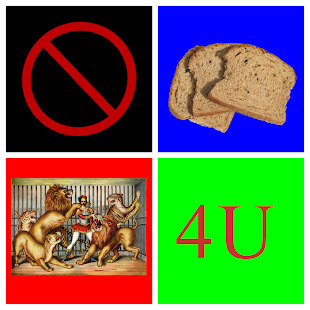 No Bread And Circuses For You: Holier than Thou: Why Should Anyone Believe the US, Ukraine, or Russia? What is the US Attempting to Hide? Holier than Thou: Why Should Anyone Believe the US, Ukraine, or Russia? What is the US Attempting to Hide? I am quite tired of rhetoric from the Obama administration and Kiev regarding the situation in Ukraine. Hardly any of it is believable. Indeed, some Ukraine propaganda efforts of Kiev are so amateurish they appear as sloppy acts of desperate coverups. If so, then it is far more likely Ukraine is the guilty party, not the separatists. If you are innocent, you do not choose such tactics. What is the US and Kiev Attempting to Hide? Earlier today, Obama Issued a Stern Warning to Russia coupled with a statement "What exactly are they trying to hide?" That's a good question. But let me turn the tables by asking: "What exactly is the US and Kiev attempting to hide?" Please consider Russia Challenges Accusations that Ukraine Rebels Shot Down Airliner. Russia's Defence Ministry on Monday challenged accusations pro-Russian rebels were to blame for shooting down a Malaysian airliner and asked the United States to produce satellite images to support its assertions. At a briefing in which generals used flashing radar images on big screens in a state-of-the-art conference room, the ministry said a Ukrainian fighter jet had tracked the airliner despite Kiev's assertions that no aircraft were nearby. The hi-tech presentation appeared a direct response to video and audio recordings used by Ukrainian security officials to back up their accusations of Russian and rebel involvement - recordings the ministry's comments suggested were fabricated. "Russian air space control systems detected a Ukrainian Air Force plane, presumably an SU-25 (fighter jet), scrambling in the direction of the Malaysian Boeing ... The distance of the SU-25 plane from the Boeing was from 3 to 5 kilometres (2 to 3 miles)," Air Force Lieutenant-General Igor Makushev said. "Earlier, Ukrainian officials said that on the day of the Boeing 777 crash there were no military aircraft in the region - as you can see this does not appear to be true." Another officer, Lieutenant-General Andrei Kartopolov, said that, "whether it is a coincidence or not", a U.S. satellite had been monitoring the area at the time. "We also have some questions for our U.S. partners," he said. "According to the U.S. declarations, they have satellite images that confirm the missile was launched by the rebels. But nobody has seen these images." "If the American side has pictures from this satellite, then they should show the international community." Complete story at - Holier than Thou: Why Should Anyone Believe the US, Ukraine, or Russia? What is the US Attempting to Hide?